Used to determine the uncompacted void content of a fine aggregate sample. 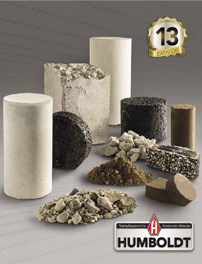 Indicates the angularity, sphericality, and workability of fine aggregate in a mixture. Includes 100 ml brass cylindrical measure, funnel assembly, funnel stand, and glass plate for calibration. Order overflow pan, scoop and strike-off spatula separately.